Welcome to SJM Removals and Storage. Established in 1979, we have over 30 years experience in the industry, and have gained a wealth of knowledge in relation to removal services. Based in Tore near Inverness in the Scottish Highlands, we offer a local, national, and international removal service. Our small team of friendly staff excel in giving a reliable service. Whether you are moving house, or relocating your business, we supply efficient movers and packers to help you on your way. We can also supply the boxing and packaging if you require to ensure safe removals. We welcome work from both domestic and commercial markets, and tailor our service to your needs. We can transport cars within and across the UK and place customer satisfaction as our priority. 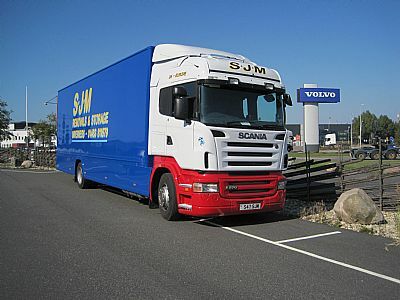 Why choose SJM Removals & Storage? Are you moving house? Is your business relocating? 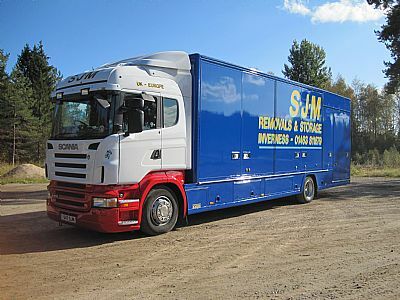 Call SJM Removals & Storage for a free moving quote on 01463 811 679 or 07803 967 438.